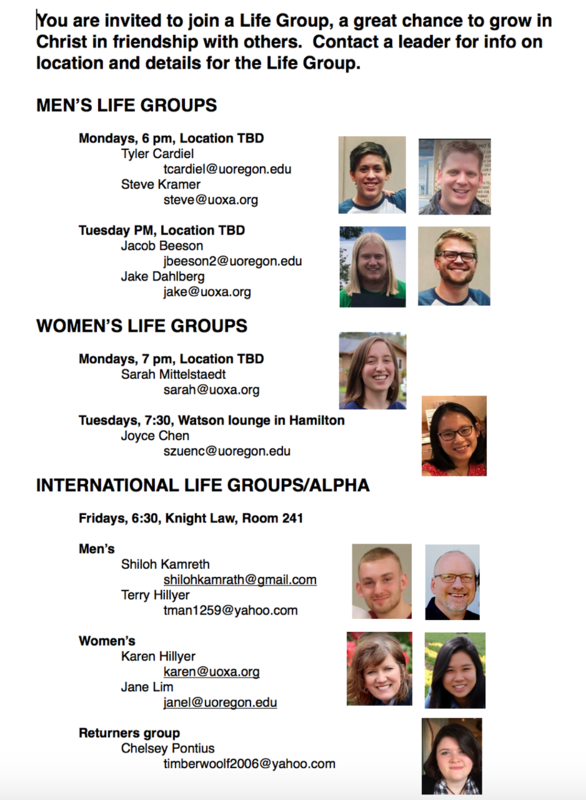 Chi Alpha (XA) is a ministry of small groups, we call them "Life Groups." We chose this name because our heart is that we would live life together as followers of Jesus. We believe that one of the best ways to become a follower of Jesus is to be a part of a loving, small group of believers. We have several Life Groups that meet every week for both men and women. Get in contact with us and we can connect you to a small group leader!